We don’t charge travel time to pick up in Westlake Village. 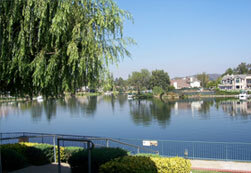 Affordable Limousine Airport Transportation for Westlake Village. We have LA car & limo service available to LAX, Burbank Airport, Long Beach Airport, Orange County Airport and Ontario International Airport. Our rates are reasonably priced in the midrange. From your wedding to your corporate engagements, LAEXEC will with no doubt make your day special and impressive. Calls us for any of your occasion. We are available 24 hours and seven days a week.